The NTT IndyCar Series will provide its teams with more options to generate downforce at its superspeedway events in Indianapolis, Pocono, and Dallas-Fort Worth. The change in philosophy comes after consulting IndyCar’s drivers and race engineers on the best way to create more dynamic racing at the Indianapolis 500 and the Pocono 500, in particular, with its new-for-2018 universal aero kit. Both marquee events fell short of expectations after teams complied with rules calling for reduced downforce; a narrow range of aerodynamic tuning options, especially at the back of the cars with strict limits on rear wing angles, made it difficult to achieve an aero balance that met each driver’s needs. The new solution offered by IndyCar is to provide more aero tuning freedom in superspeedway trim, specifically through downforce-adding Gurney flaps atop the spec rear wing element at the rear of the Chevy- and Honda-powered Dallara DW12s. Three 3/8-inch tall flaps, which are optional, have been approved for use that vary in width and downforce production. The first, 13.2 inches wide, adds 50 pounds of downforce. The second, at 24.5 inches wide, provides a 100-pound increase in downforce. And the third, which spans the full width of the wing, offers 200 pounds of downforce. IndyCar has approved the 50- and 100-pound flaps for Indy, and all three for Pocono. The pieces are not permitted at Texas Motor Speedway. Extreme heat at the Indy 500 exacerbated the problem. Teams piled on all the downforce allowed in the rules, and yet, with the hot air serving to reduce overall downforce, all manner of handling imbalances — and numerous crashes — were seen. Bretzman believes the options to add rear downforce, which can be balanced by adding more front wing angle, should improve the situation without giving teams the ability to run excessive downforce. Complementing the new rear downforce options the IndyCar Series has given its teams on superspeedways, one downforce addition and one wing modification have also been ratified for 2019. With teams calling for an increase in rear downforce, and those requests having been met, a similar need for more front downforce has been met with the option of installing a third piece to the ‘Pocono’ front wing extensions. Despite its small size, the 3/8-inch tall and 5.5-inch wide Gurney flap will generate more downforce across the front axle, and can be used — asymmetrically, if desired — to help improve aerodynamic balance. Harder racing should come as a byproduct of making more front and rear downforce options available on the superspeedways, and in an effort to curb the problems caused last year when pursuing cars lost front downforce while running in turbulent air, the series has instructed its teams to notch the outer portion of the front speedway wings. Fernando Alonso will run the number 66 on his return to the Indianapolis 500 with McLaren this year. Alonso - who returns to complete the Indy 500 as the final part of his bid for the 'Triple Crown' of motorsport - used #29 for his debut in 2017. He has opted to use #66 given it is the number with which McLaren took its first Indy 500 victory with Mark Donohue in 1972. Donohue used #66 in all five of his Indy 500 appearances with Roger Penske and both of his starts with a McLaren chassis. His only victory came in 1972 when, after a race of high attrition, he was able to lead the final 13 laps and deliver a win that included a new average speed record. Alonso's McLaren entry for the Indy 500 will be powered by Chevrolet's twin-turbocharged V6. Chevrolet is the defending winner of the race, having taken Will Power's Penske entry to victory last May. 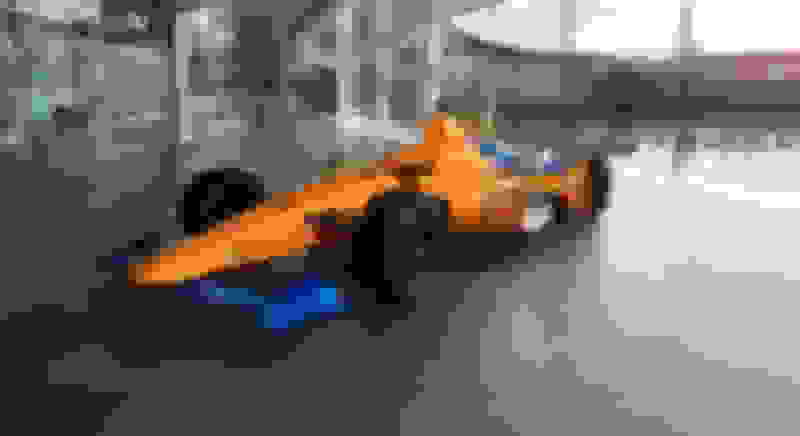 Alonso starred in his first attempt on the Indy 500 in 2017, as he qualified on the second row and then led 27 laps before his Honda engine expired. First race was entertaining. There are some promising rookies in the series that should be fun to watch. Rosenqvist had a really nice late braking move to take the lead in the middle of the race but he couldn't hold on to win the race. Would have been cool to see a first year driver win the opening race. Track is in the middle of nowhere. Looks like an easy decision to make. Hmmm, an open wheel series run at COTA where there's actual OVERTAKING. A LOT OF IT! ^ DVR'ed it, have to watch it. Curious how the racing was compared to F1. I liked when CART/Champ cars raced at the Montreal F1 track in the 2000's. I DVR'd it, but didn't watch yet. Watch qualifying & was pretty underwhelmed, compared to F1. Will give the race a shot. During qualifying, I was surprised to see that there are no rules on track limits, take it as wide/far as you want with no penalty. Just a bit of a shame that the sessions are so short that a red flag can kill your chances. ^ gotta say, the IndyCar at COTA was entertaining. The cars are more jittery and nervous driving at the limit. I was a the COTA for that race. It was about 10x as exciting as F1 (outside of the rainy year). Attendance was a bit low, though. Kind of disappointing. I did notice that there were only the permanent grandstands, and that they were not full. Big attendance difference between F1 & Indy. Alonso's car for the Indy 500. I like the livery, but this car is so ugly in speedway trim. It's an abomination placing this car next to the other McLaren's in the background. True. Those cars should be left the the outhouse behind the main building.